Only a couple of years ago, the U-Bahn station Moritzplatz used to be rather abandoned. But since there are a few venues and shops near Moritzplatz today, it has become more and more lively down here. The station is located right underneath the roundabout Moritzplatz on two different levels. The upper level connects the four access points with its different staircases, leading to two larger stairs that connect the upper level to the lower level where the rails are located. 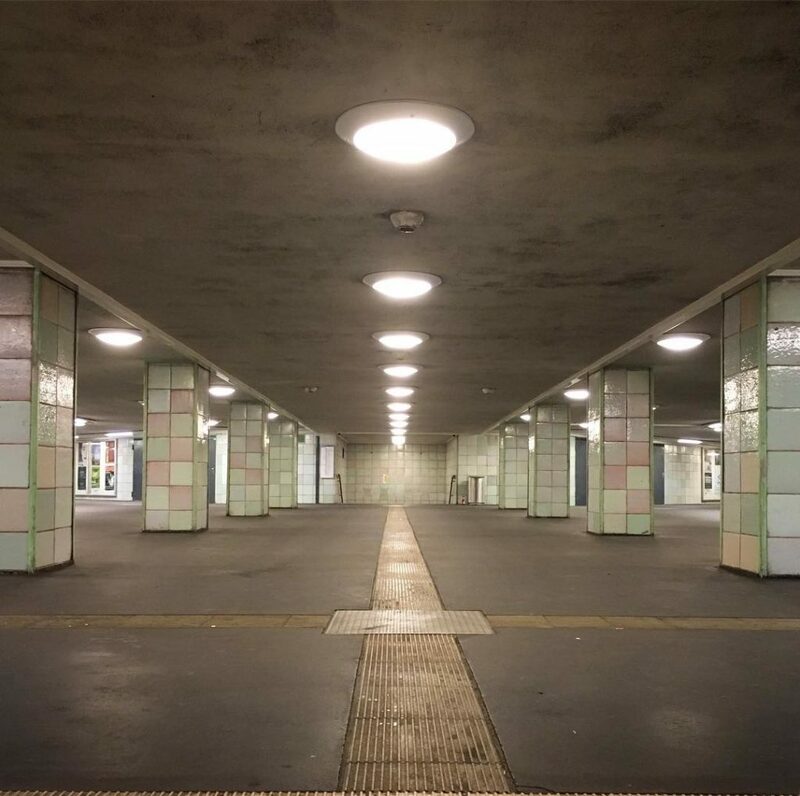 Exiting the Moritzplatz station can be a bit confusing due to its symmetrical shape – but it is very well worth taking the time to check which staircase you want to take since walking around the roundabout can be annoying – and dangerous, since there are no traffic lights.